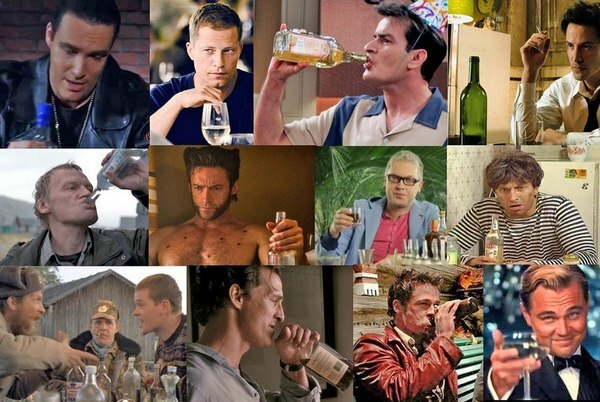 Should the actors, who propagandize alcohol and tobacco in films, be blamed? Approximate reading time: 9 min. 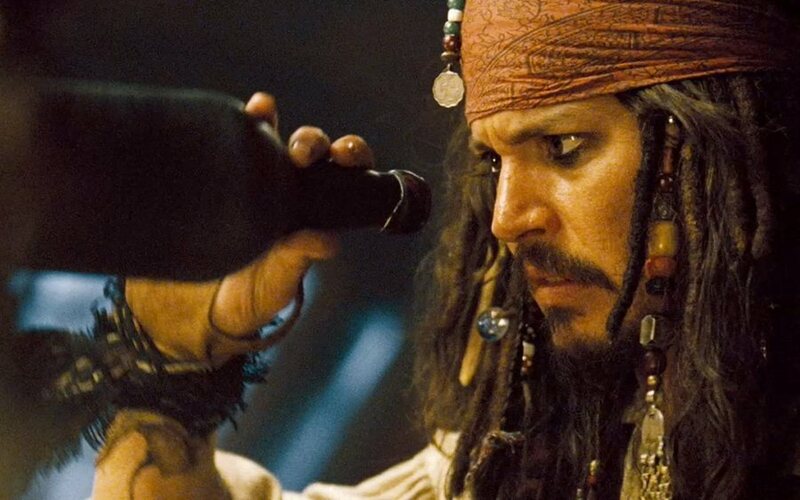 As you probably know, 90% of films contain alcohol-tobacco scenes, which is done for narcotization of the population. When you explain how this works, then in the comments under the articles there are people telling that actors, it turns out, are not to blame. That is, a person takes a direct part in the soldering of the people, but he is not to blame, how can this be? We will analyze typical arguments. Often this phrase is spoken, but did the authors think what it means? This means that the actor can not earn any more than to act in films with the propaganda of drugs. But it is obvious that this is not so. First, you can shoot in the remaining 10% of films, where there is no propaganda, and secondly, you can earn as well as all other citizens who are not actors. Nobody limits the actors in earnings, and you can get a job. But apparently there is another argument, namely “there is more earnings”. Quite right, more, but money is not a valid reason. Otherwise, then, drug dealers are not to blame, because “everyone earns as much as he can” and “there’s more earnings”. However, a drug dealer is perfectly logically imprisoned, and if we are talking about actors who propagandize drugs, then in the comments for some reason people appear that are not guilty, because they get money for this, which sounds absurd. Yes, do not force, they just propagandize. Also the drug dealer does not force to buy, he is only ready to exchange “goods” for money. Moreover, he does not just not force to buy, he does not even force to “use” purchased drugs. People come to him, buy, and then self-extract. But for some reason, the drug dealer is imprisoned, but there are no muzes, although in both cases no one is forced to do anything. Drug addiction (including alcoholism and tobacco smoking) can not be won, as long as people in every film are drugged on the subconscious by propaganda. The demand for drugs will always be in a society where propaganda is going on. As they say, let’s think logically – the actor does what he is told for money. Therefore, the argument “the actor is not to blame, he does it for money” is not valid. We have already found out that drug dealers sell drugs for money, and this does not justify them. Both the drug dealer and the actors with the directors can engage in honest work and earn money where they will not be told to act against their conscience. Perhaps, some people do not understand, but any person who has enough time from inside to cook in the media should understand the impact of smoking and alcohol on the screen. Even if there is no concrete understanding, all the same the person realizes that he is doing something bad. They just close their eyes to their conscience. When a person is engaged in a bad job for a long time, he begins to seek for himself an excuse, and the longer he takes up, the more excuses he finds and the more he believes in them. After all, his conscience is constantly tormented, and it must be something to jam. This is a real auto-suggestion, for the sake of money, why not yourself and not to suggest that you are not guilty? Inspired, and now you can earn more, because nothing restricts participation in projects, which propaganda Goebbels himself envies. Here are the actors with the directors and explain to themselves that people are to blame for themselves, that they are beginning to be poisoned, they allegedly make an informed decision to get hooked on narcotic poison. But if everyone answers, then there is no propaganda in nature? But it is there, no one denies it, but only, according to the actors and directors, it’s people who are to blame for having succumbed to their drug propaganda. “The viewer himself is to blame for being a fool. Natural selection! “, They say to themselves. By the way, do you know that the work of an actor and, in general, of any public person is that the public should love him? After all, the more fans, the more money, so you need to play well not only in movies, but also how people like people, then they are more often invited to projects, and more fees. To realize this, imagine that the actor plays well, but as a person is extremely unpleasant – narcissist, despising everyone, stupid, in the media constantly with him some scandals, then beat someone, then a little drunk did not bring down a pedestrian. Do you think that if the public does not like this, they will invite him to appear in films, even if he plays well? The viewer simply does not want to go to the film of such a person. Of course, somewhere he will be invited, but in projects the class is lower. From this it follows that the more the public loves the actor, the more he will earn. This is a professional “the-person-to-be-liked”, that is, their profession – like you. They understand this well, and understand that their earnings directly depend on it, so they are so cool. And now you are looking at some contemporary and Soviet actors and think what good fellows, you have respect and love for them, and in fact for them it’s just a job. Their work is the management of your emotions, and not only through the film, but also in real life. They sell your health for money, planting you, your children and the people in general on alcohol and tobacco. As we found out, they can get a job on a regular job, and on the actor’s line can be shot in films without propaganda, only there is less money, so there is no “forced” them. All consciously – they let you under the knife for money, and you love them. Someone will say that some are doing a good thing, sort of like in many films useful meanings are laid, other than drug propaganda. But all good meanings are leveled, if there is propaganda of narcotic poison, because if a person is a drug addict, then he loses his human face, what meanings he does not carry. After all, drug addicts, and in particular alcoholics, degrade not only physically and intellectually, but also morally, for example, commit crimes – they steal and rob to get a dose, and the influence of the drug on their behavior is much stronger than the positive meanings in the film. This property of the drug itself is degradation, so if films attach a person to narcotic poisons, then they make it weaker, more stupid and immoral, even despite the supposedly existence of useful meanings.